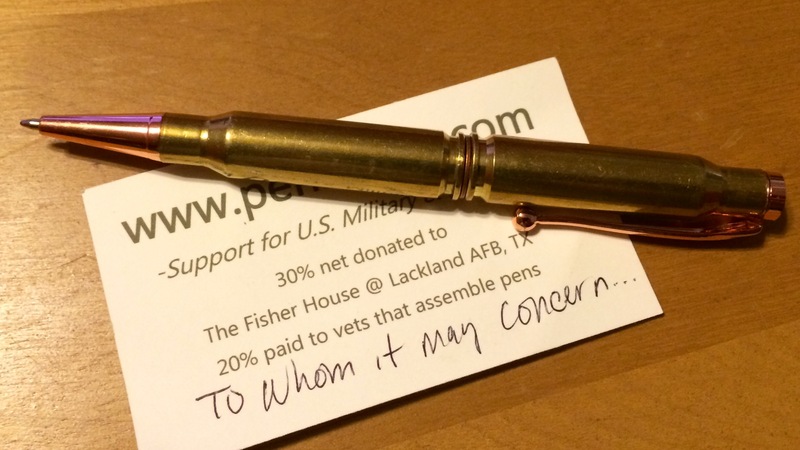 When I first saw this pen it looked all too commonplace. 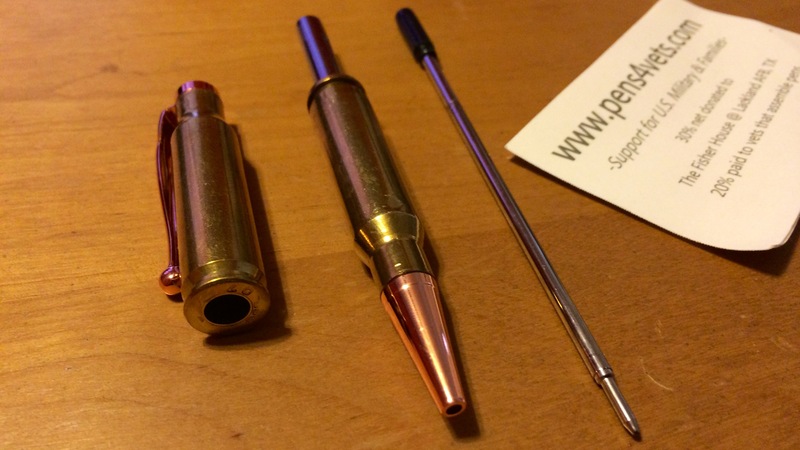 The silhouettes all too familiar; an ink pen and 7.62 cartridges. Wait… what? 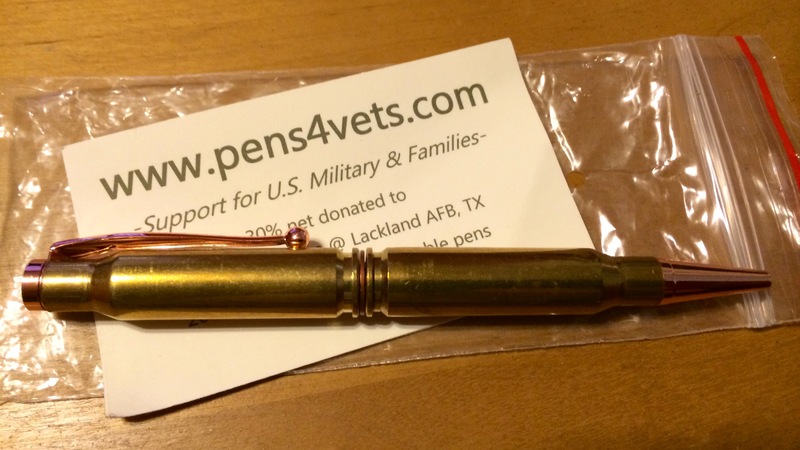 Yes, an ink pen made of 7.62 cartridges. Classy, like machine-gun-infantry classy, baby. Yeah. Infantry vernacular for “machine gunner“. “Pig”- slang for the old M-60 machine gun. “Humper”- a person who humps derived from the infantry lingo to hump or to carry.